When your best friend is also your boss, "great ideas" aren't always optional. After all, when you run the largest fashion, gossip, and trend blog in the country, you've got to take risks to keep it edgy. Believe me. This is edgy. The idea? For one week, date every male fantasy. The list? The Jock. The Rock Star. The Billionaire. The Stepbrother. See how they are all crossed off except one? That's because he's Satan. And Scottish. And my best friend's stepbrother. If it lives, it can die...even immortal dragons. Unfairly cursed and then mercilessly hunted for 1,000 years by a powerful group of druid witches, the Dracones fight for their very survival. After their village was massacred, Tierney and her friends fled the realm of Tartaria for Earth, keeping their identity as dragon shifters secret. Only you can’t run from the past - a point made crystal clear when 21-year-old Tierney gazes into the tormented eyes of the man she loves. His failure to protect his brother long ago left Jax broken and full of rage. Now, as his Awakening approaches, his powers grow unpredictable. If he survives the emergence of his dragon, he fears he will endanger the one he loves above all others - Tierney. 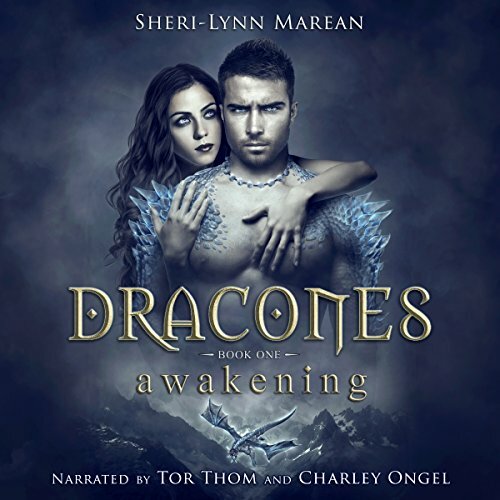 This is the first book in the Dracones series for listeners age 18+. 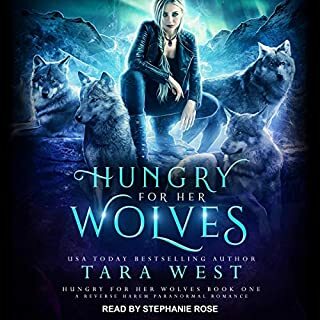 If you are a fan of dark, steamy, paranormal romance, get Tierney and Jax's story and be swept up into a magical world of betrayal filled with immortal dragons, shape-shifters, werewolves, were-leopards, vampires, witches, and angst-ridden, sensual heat. I wasn’t sure if I could get into a dragon paranormal story but I’m hooked. The next book isn’t out on audible yet but I will be checking for it, that’s for sure. I need to know what happens to all the characters. I’m thinking that I need to hear this again to follow all the characters but it’s a wonderful evolving story and the characters are all important to the story. LOVED this book! Great world building, characters, and a highly immersive story. Great performance from the narrators. I love their style of dual narration, they really brought the story to life. This is one audio that was hard to stop listening to. Will definitely be listening to the other books in the series, can’t wait to find out what happens next! I received a free review copy of this audiobook at my request and I have voluntarily left this review. Tor Thom and Charley Ongel have done a wonderful job with the narration for this book. 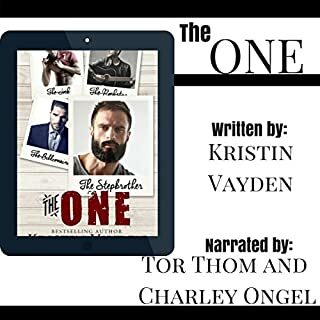 The way Tor and Charley had the characters voices change for each individually made this story come to life through my ears even more. This was truly an audiobook that I enjoyed listening to from beginning till the very end. Story wise I have to admit that when it comes to paranormal books I never thought I’d enjoy a dragon related one but I was delightfully surprised. We’re taken on a journey with Tierney and Jax as they’re on a mission to try and find out what happened to Tierney’s father. Being friends growing up Jax and Tierney have been there for each other but over time the connection broke apart, when they cross paths again everything changes. We’re given romance and adventure throughout the story as these two learn to transition into Dracone’s. There were moments where I would lose track of whom was speaking but overall I thought this was a great book and I definitely recommend reading. This is my unbiased and voluntary review. But can Tierney and Jax overcome their legacy and set aside their fears long enough to avoid the Ilyium’s sinister plans? So I keep notes to write this review so my first entry was: so far, so good. The next entry is nothing because I got so engrossed in this story I forgot to keep updates in my notebook. This is such a grand story full of darkness, heat and dread. The world is so intriguing and well-built. Cannot wait to explore more of it! The writing was so good! A fantastic unique tale of supernaturals. Very enjoyable and heart-wrenching. Full of dragons, fallen angels, empaths, illyium, tension, secrets, trust, promises, angst, darkness, heat, magic, supernaturals and love. Perfect for readers of paranormal romance/dark fantasy. The narrators were P.E.R.F.E.C.T. Wow. Whoa. As you can see, I am speechless - that is how good this narrator duo are. My word! So absolutely fantastic and enjoyable. Very pleasing and appealing! I received this audiobook free for an honest review. Although there were a lot of characters, the main characters stood out and built an amazing story. The author has quite a wonderful imagination that created a solid book. The characters and the story make it near impossible to put it down. With it being a very long book, needed for the rich story, I didn't want to interrupt the story by stopping. The narrators were the best. Tor and Charley have such great chemistry that comes across in their portrayal of the characters. Amazing! I loved listening to this story. It was filled with Drama, Action and some Love! It was hard to follow sometimes but well worth it. Tor and Charley were amazing as always! They seem to just keep getting better! This was great and I would definitely recommend it. This story has so many wonderful elements! You get action/adventure, love/heartbreak, & disaster/starting over. You feel a great rollercoaster of emotions. And through most of the story you feel a great compassion for the hardships most of the characters have went through. I love the magical elements and how several of the characters were just coming into their abilities and trying to figure them out. I got a kick out her calling the one Devil Girl! When Jax took his first flight was an amazing moment that was long overdue. Wonderful job on the narration! What a wonderful paranormal /shifter book!! I received this book as a Facebook giveaway. I can’t say enough thank you thank you thank you very much I enjoyed this book and I’m looking forward to the sequels. The near narrators were awesome as usual I love listening to this duo. The book is suspenseful and will keep you hanging on. I loved the characters and hope to read more about the siblings. Count me in for the next book!! I’m a fan of PNR, but I had yet to delve into the world of dragons. I found my self instantly transported into a magical world of fantasy. Jax and Tierney’s journey is filled with action, adventure, and plenty of heat. The twists and turns in the story keep the ride unpredictable and the listener captivated. Narration by Tor Thom and Charley Ongel was quite literally impressive. They both manage to give each character their own distinctions and make this audiobook truly come to life. 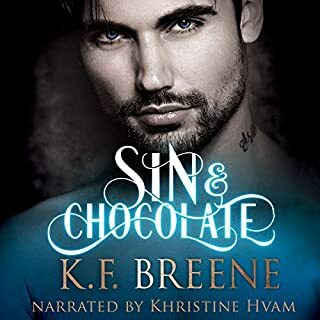 As always chemistry between the narrators was right on point and made listening that much more enjoyable and the minutes in a 12+ hour audiobook breeze on by. They’re both quickly becoming some of my favorite narrators. I was gifted this book by Tor Thom and Charley Ongel for a fair and honest review. As always I have to say I was impressed with their narration, with so many different characters they had to distinguish between they did a great job. Bravo. As for the story it’s self I was not as impressed. I enjoy fantasy, but this one just seemed to have to many plot lines going at once. To many characters all trying to grab your attention and it just got confusing. You thought you knew the story and what was going on and it would get sidetracked and went somewhere else. I enjoy drama, intrigue, angst and romance but I also want and need to be able to follow and I just couldn’t in this book. This is a long, detailed, dark, dramatic introduction to what feels like an paranormal saga. The main characters, Tierney and Max, are 20 something year olds who are coming into their dragons. As children they escaped a lethal attack on their village, in a different realm, that wiped out their people except for a few. On Earth they are highly trained PIs, hiding and searching for their enemies. They may think they are safe but things are about to spiral out of control. There is a lot going on in this book. There are shifters and weres, dragons and druids, magic and fated mates but also abuse, torture and violence. While most of the story is dedicated to familiarizing the reader/listener to the complexities of this fictional world, there is a lot of potential carefully created for the next book. Darkness is brewing and the battle between good and evil feels like it is on the verge of happening.